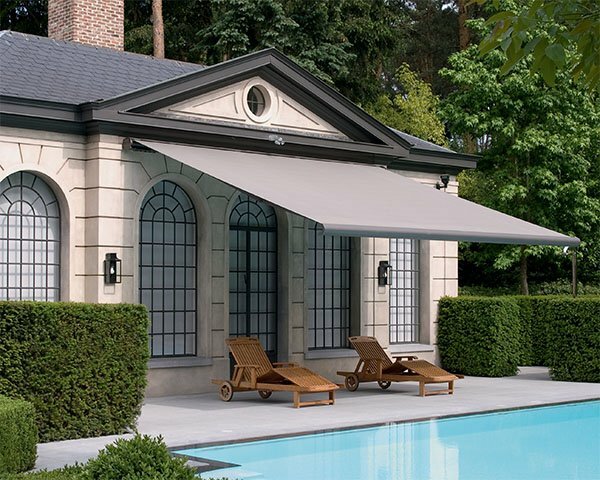 Blinds by Peter Meyer sells and recommends the Warema External Venetian Systems. 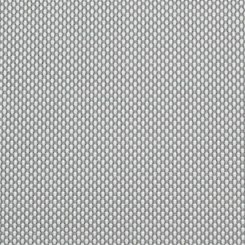 Warema is well known for its high quality and advanced design and is the market leader in this elegant exterior window treatment. 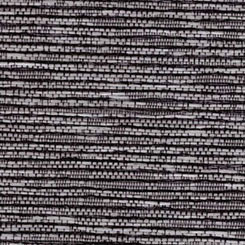 Blinds by Peter Meyer specialises in both domestic and commercial applications and can assist you with advice on Warema External Venetians. 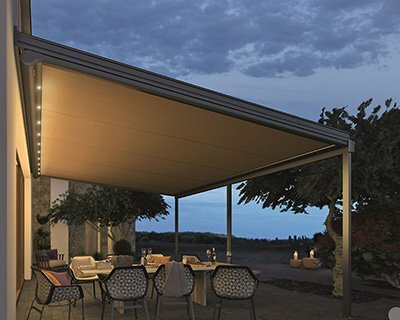 Encompassing the latest European style and design, the Warema exterior aluminium venetian offers fantastic sun control as well as winter insulation. This product will dramatically assist you in cooling in summer but also keeping the warmth in during the cold winter months. This said, it will also help reduce your carbon footprint by reducing electricity consumption. Offered in a range of colours to suit all style of homes, the exterior aluminium venetian combines functionality with European style and design. One of the key benefits of a Warema Aluminium Venetian is that it can stop approximately 80% of the heat before it reaches your window. The external louvre has evolved as the most versatile and efficient form of controlling the effects of the sun. 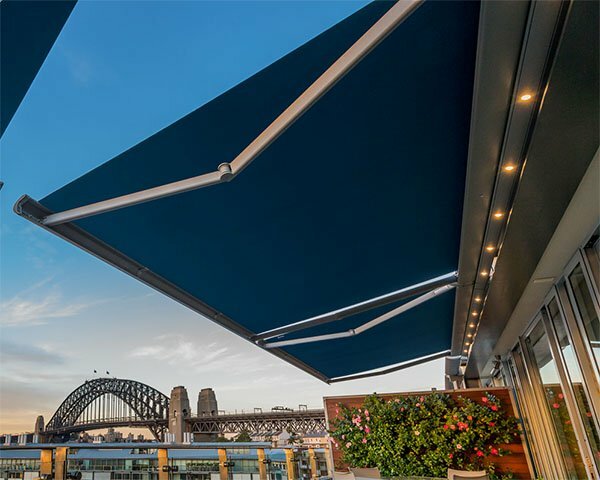 Retractable louvres are now available in a 60 or 94 mm interlocking profile to create a blackout effect for audio-visual areas. Where stacking depth is limited a simplified form without a rolled edge is available. This ‘flat’ blade (60, 80 or 100 mm slats) is also suitable for internal situations where a larger scaled blade suits the design. 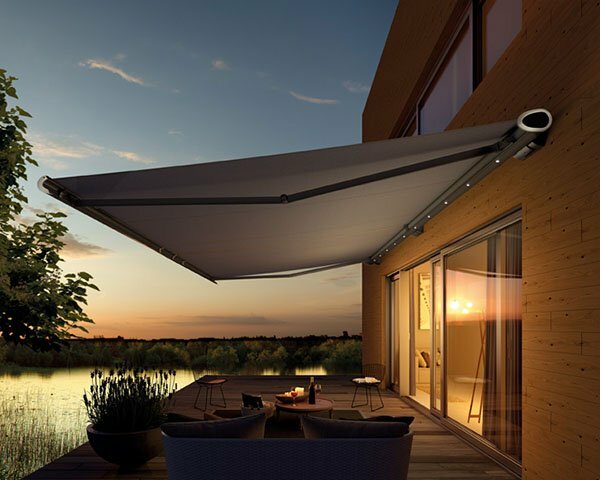 The most effective form of external shading is achieved through operable and retractable louvres. 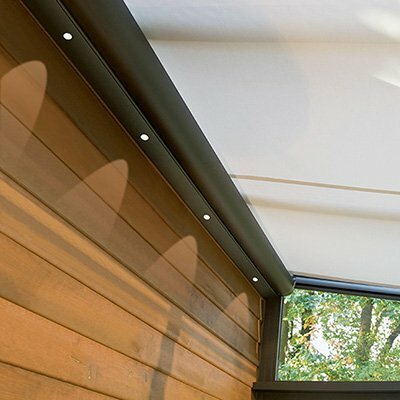 The Type 80 is a fully variable system providing exterior views and natural light whilst blocking all direct sunlight. With up to 85% of solar gain eliminated, cooling costs are greatly reduced (internal temperatures can fall up to 10ºC), clear glass can be used in place of expensive tinted glass and there is less need for artificial lighting. The result is a healthier work or living environment. 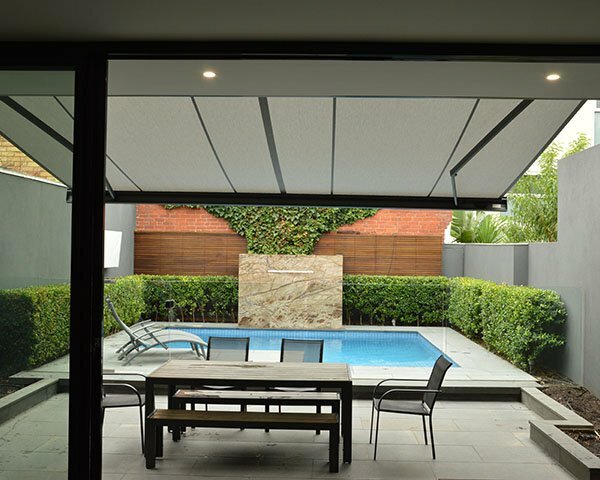 Asymmetrical external louvre blinds provide highly effective sun shading for all those previously untreatable shapes. 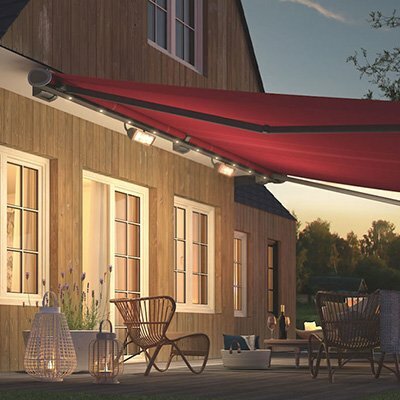 The product is fully adjustable and retractable and can be manufactured to a myriad of shapes. The head of the blind can be at any angle from 0 to 45º from horizontal. Asymmetric blinds are motor or crank driven and guided by stainless steel guide rods. 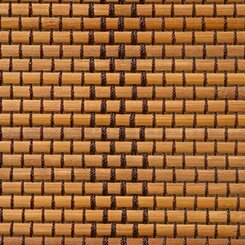 Slats are available in 50 or 80 mm widths in a variety of colours. Complex shaped windows may be treated using a combination of different models.